Although Cartersville and Bartow County have a strong and impactful industrial base, the majority of jobs and investment in business in our community comes from small business. The Small Business Council (SBC) is invested in the growth and development of small business through various programs, information, and offerings. The SBC partners with the Small Business Development Center through the University of Georgia to provide valuable seminars and lunch and learn programs on a variety of topics that can help small business owners run their business more efficiently and effectively as well as introduce them to resources available to help them succeed. The SBC is also responsible for selecting the Small Business of the Year for the Cartersville-Bartow County. Any small business Chamber member that has been in business for at least three (3) years can be nominated and take part in a highly competitive application and selection process highlighted at the Chamber Annual Meeting in January of each year. The Small Business Council is open to all Chamber members who own or work in a small business or those who have an interest in the success and growth of the small business sector of our community. The 2017 Small Business of the Year award was presented to Pendley Heating & Air Conditioning at the 78th Annual Meeting on January 11, 2018. View the congratulatory video played at the Annual Meeting. Through their mission of furnishing the best possible service at a reasonable price, Pendley Heating & Air has built their customer base in Cartersville and Bartow County to over 11,000 customers. Serving not only Bartow County but six additional surrounding counties, Pendley Heating & Air has exceeded their business goals over the last 5 years. These include exceptional achievements in customer satisfaction, employee retention, employee safety, and quality, affordable service. 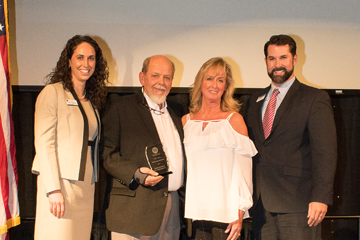 We are honored to have Pendley Heating & Air Conditioning serving the Bartow County community for over 58 years and are proud to recognize them as our 2017 Small Business of the Year. 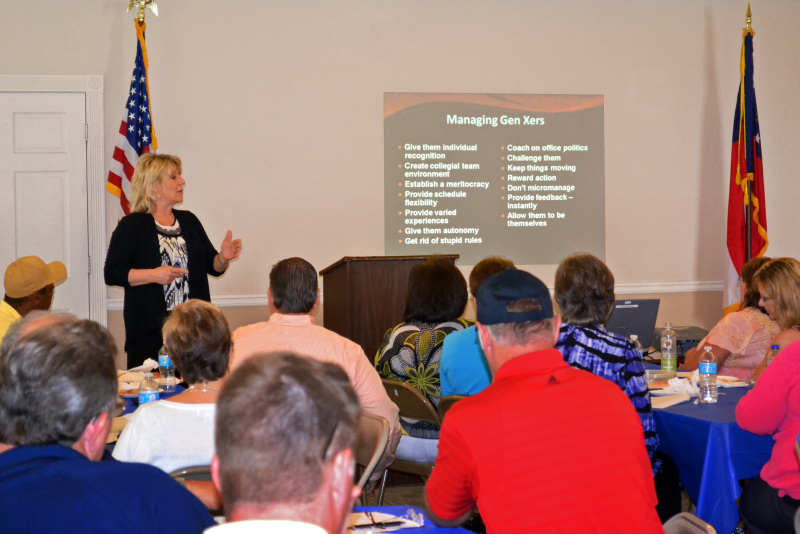 Ties to Tattoos: Managing Across Generations Lunch & Learn taught by Dr. Tina Brush.